We believe that beautiful transformations happen every day. We believe that the extension of a person’s beauty should be an extension of themselves. It should be real. It should last. And it should fit them perfectly—both aesthetically and emotionally. We create affordable, accessible products based off these simple yet fundamental beliefs. Our products help make these transformations a reality. History. Does it matter? Well, we believe so. And you probably do too since you chose to read this section. There are a lot of new companies in the extension category and we think it does matter that you do business with a company who has a solid past, a pattern of innovation and growth, and a dedication to the future. So if it matters to you, read on. HairUWear Inc., the parent company of HairUWear Professional, has a storied legacy in the hair goods market. Founded in 1969 as Eva Gabor International, our company was a trailblazer in the wig and hairpiece industry. No stranger to glamour, Eva’s familiarity with wigs and hairpieces from her days on studio sets provided the company a valuable perspective on quality, comfort and beauty. Before 1971, wig fibers were attached to a cap that was stiff, hot and uncomfortable. In 1971, Eva Gabor International created and introduced Capless Wigs® which did away with the stiff look and the hot, sticky feel of cap wigs. Fibers were now attached to bands of lace which shaped to the head and allowed the circulation of air. 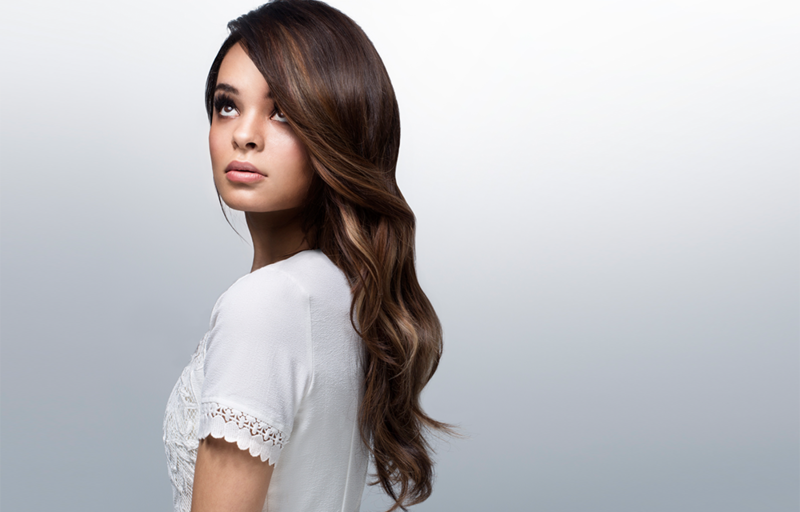 As the company grew and expanded into broader categories, we became the exclusive USA distributor for Great Lengths hair extensions and added more brands such as our Raquel Welch Signature Collection. In 2013, the development of the HairUWear Professional brand began. It was born from beauty professionals requesting top of the line hair goods that they could offer to their clients. We felt we were uniquely qualified to answer that request with products whose innovative designs and high-quality deliver the performance and style that stylists need and that client’s desire. The vision of today’s beauty professionals continues to inspire us. And we continue to empower professionals as they provide their clients the products they deserve. What is the HUW PRO difference?